This massive card has had odds out for awhile, and since the global markets were opened last week, some of these matches have moved to become lopsided. The most favored of anyone to win their match is Roman Reigns, with odds of -1200 to beat Brock Lesnar for the Universal Championship. This means a $1200 bet would have to be made to make only $100. This match is once again heavily favored to main event, going on last at -2000. While the match has not even been officially announced, John Cena vs The Undertaker is expected to happen at Wrestlemania. This match has been rumored for awhile and WWE has been teasing this match through the proxy of John Cena calling out The Taker weekly. Even though the match is unofficial at his point, sports books are offering odds and Undertaker is favored at -400. John Cena is a +250 underdog. Shinsuke Nakamura also has very good odds to defeat AJ Styles in the WWE Championship match. This follows a trend of champions going into Wrestlemania as underdogs. Raw Women's Champion Alexa Bliss is a +295 underdog and is being challenged by former ally Nia Jax, who is favored at -390. The Intercontinental Champion The Miz is another underdog at +280 and has two challengers to make a triple threat match. Finn Balor is a slight favorite to win this with current odds of -185. Seth Rollins has odds of +360, making him the outsider. Asuka has superb odds of -1050 to continue her undefeated streak when she challenges Charlotte Flair for the Smackdown Women's Championship. This prop bet being suspended is actually a great indicator that Carmella will finally be cashing in. It is very probable the betting was suspended due to too many wagers being made on Carmella. Those lines kept moving in the favor of Carmella until it closed. The only champion that is actually favored is Randy Orton favored at -200 defending his United States Championship in a Fatal Fourway. Of Orton's three underdog challengers, Rusev has the best odds at +140 to take the title. Jinder Mahal has odds of +250 and the outsider is former champion Bobby Roode with odds of +500. This is actually one of the more difficult matches to predict. For the finals of the Cruiserweight Championship Tournament, Cedric Alexander is favored at -295 to capture the vacant title by defeating Mustafi Ali. Mustafa's underdog odds of +200 are tempting in this one. Ali has a legitimate chance. Both sets of tag team champions lack having lucky odds. Braun Strowman & whoever his opponent end up being have odds of -295 to successfully challenge the Raw Tag Team champions Cesaro & Sheamus. For the Smackdown Tag Team Championships The Bludgeon Brother are slight favorites at -134 to dethrone The Usos for those titles. The champions are slight underdogs at +140 and the New Day are also in this match with odds of +275. 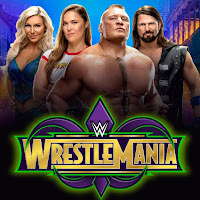 In the special attraction mixed tag team match featuring women's MMA standout Ronda Rousey, Kurt Angle and Ronda are favored at -530 to defeat Triple H and Stephanie McMahon in a grudge match. According to some prop bets, we can expect to see this match via submission with Rousey tapping McMahon. Another tag team match featuring the in ring return of Daniel Bryan has very close odds. Bryan & Shane McMahon are marginal favorites at -155 to defeat Kevin Owens and Sami Zayn, +110, the underdogs. This is another match that is too close to call as KO and Sami fight to regain their jobs at WWE. 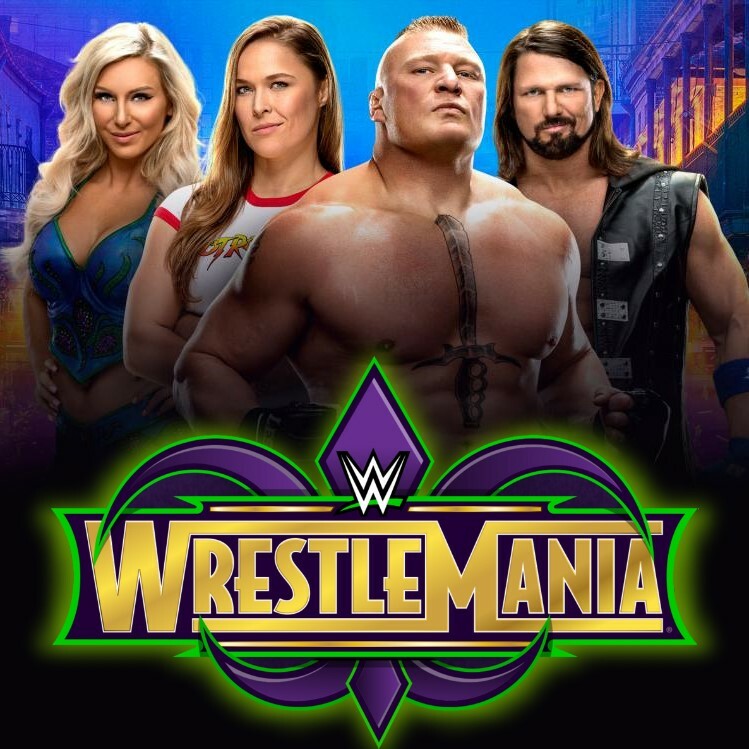 The Wrestlemania Women's Battle Royal sees Becky Lynch with the best odds of +125 to win and there is another participant that is very close to Lynch's odds. Sasha Banks, for example, has odds of +160 to win, but sports books cannot call this one right now. The Andre the Giant Memeorial Battle Royal is a match with a more definitive projection seeing Elias as the -140 favorite to win this match. There are also odds on Big Cass and Samoa Joe, both at +400, which is purely speculative with both being injured and not expected to be in this match.